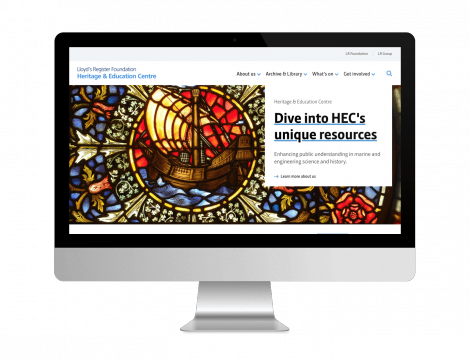 Keepthinking is thrilled to announce that the website for Lloyd’s Register’s Heritage and Education Centre (HEC) is now online. This coincides with the completion of the first stage of a ground-breaking, large-scale cataloguing project Lloyd’s Register is working on - digitising their extensive archive for public use (estimates put it at well over a million objects). This website shows the details and imagery from nearly 17,000 documents and over 5,000 ships; and will be constantly added to as the cataloguing project continues. Our collections management system, Qi, is being used both for the extensive catalogue and to manage the website content. We worked with the team at HEC to configure a version of Qi that would suit them and their needs perfectly. One of the main aims of the interlinked projects of website and collection management system was to improve access to the exciting collection; as well as to provide a space where researchers are also able to learn more about the work HEC does and its variety of other resources on offer. The design and creation of the website and the configuration of the bespoke version of Qi was fascinating work for Keepthinking. We are a small team, and every member of the team has had a role to play - right from the initial scoping, through to the design, development, importing of data and imagery, and final preparations for launch. The creation of a holistic, interconnected system; which not only functions exactly as needed, but also looks elegant and handsome, is a challenge we enjoy. Why not take a look at our dedicated project page, and go here if you would like to know more about our project process or Qi. And, please, go and visit their website!